Not all the websites started as WordPress sites. However, it is possible to migrate to the WordPress site from Magento. There are tools that will enable you to convert your Magento website into a WordPress site. The process of migrating from Magento to WordPress woocommerce site can be difficult at times especially if done manually. You can spend lots of time trying to migrate. However, in this article we provide you with a great method on how you can easily convert Magento website into woocommerce wordpress site. Check on the target installation; ensure the WordPress has already been installed, and ready to accept data from the Magento. 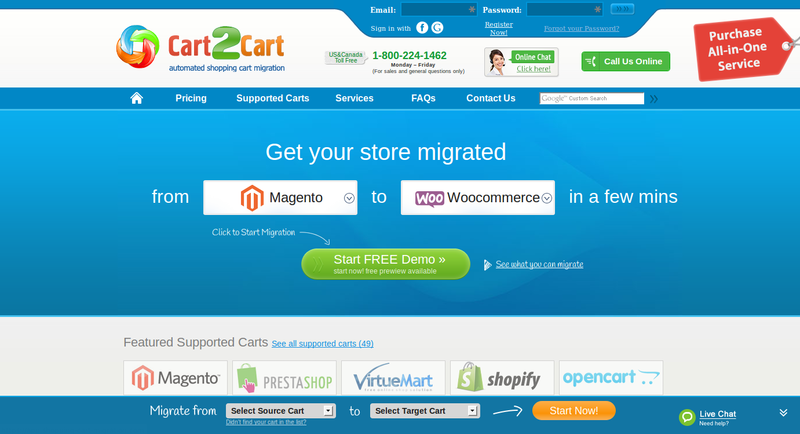 Visit the Cart2Cart website site and select Select the Magento in the first drop down and WooCommerce in the second drop down. Click on the Start Free Demo. Register a new account by filling in all the fields with your name, password, and email and agree to the terms of service and then Click Register Now. Here, you will be directed to create a new migration. Click the Start Migration Now button. 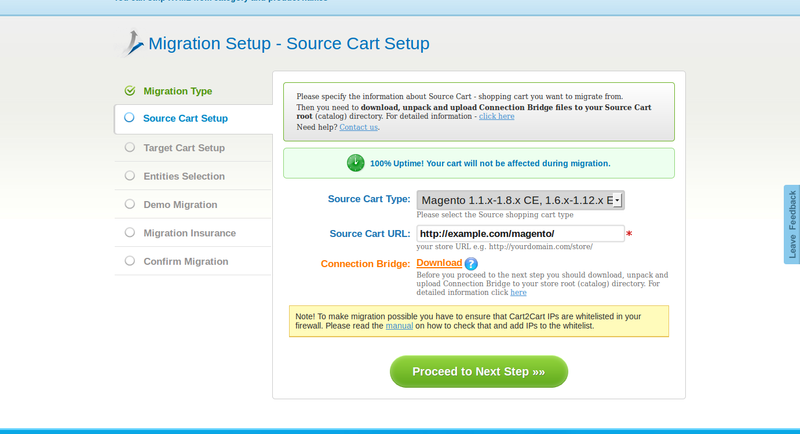 Configure the source you will be migrating from (Magento installation) Set the Source Cart Type as Magento on this page and the Source Cart URL as your Magento installation URL. There will be a download option for Cart2Cart Connection Bridge. Download the zip file by clicking on the download link and upload the bridge2cart folder inside the Magento installation root directory via the FTP. In case you already have the FTP connection, open and upload it to the root directory on your WooCommerce WordPress installation since it will be required in the next step. 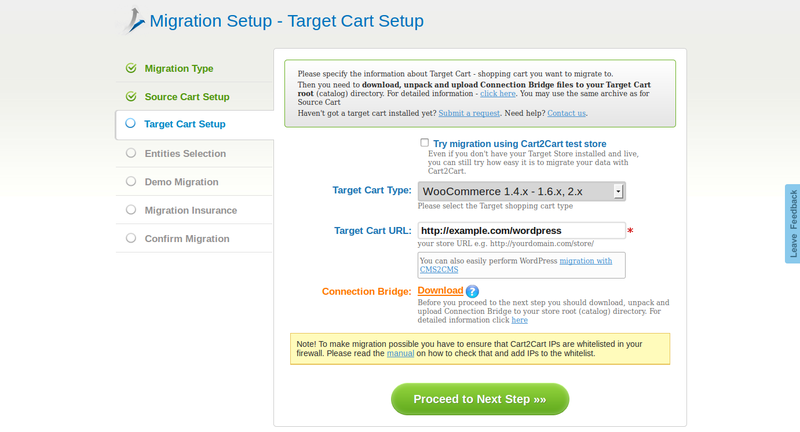 Here, you will now have to configure the target cart in order to migrate data from the Magento to the WordPress WooCommerce. Set the Target Cart Type as WooCommerce. Here, you will get a list of items to migrate on the next screen. Most people will be interested in migrating all the data from Magento to WooCommerce hence click on the SelectAll checkbox. It is also possible to select on the extra options such as migrating from the SEO URLs. 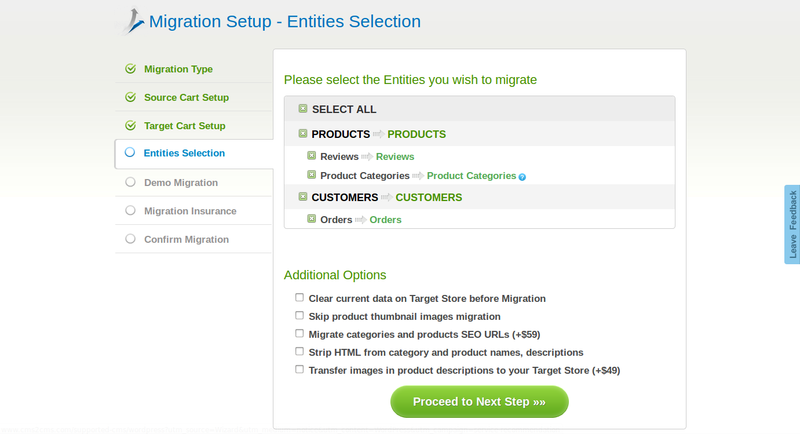 After selecting everything that you want to migrate, click on the Proceed to Next Step button. Here, you will map all the currencies in the next step. You will see the currency from the source site on the left and on right; you will have the dropdown on any available currencies that you have set up on the WooCommerce site. 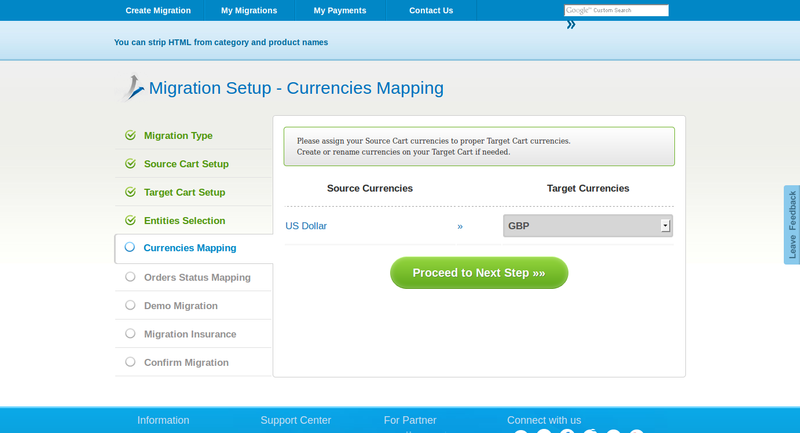 Choose the currency from the drop-down and click on the Proceed to Next Step. Now you will be at the Order Status Mapping page. Here, you will map any order statuses from the Magento site to the WooCommerce. You will always see order statuses from the Magento and dropdown of various order statuses for WooCommerce on the right. Select the right order status that matches order status on the left from the list and click on the Proceed to Next Step button once complete. 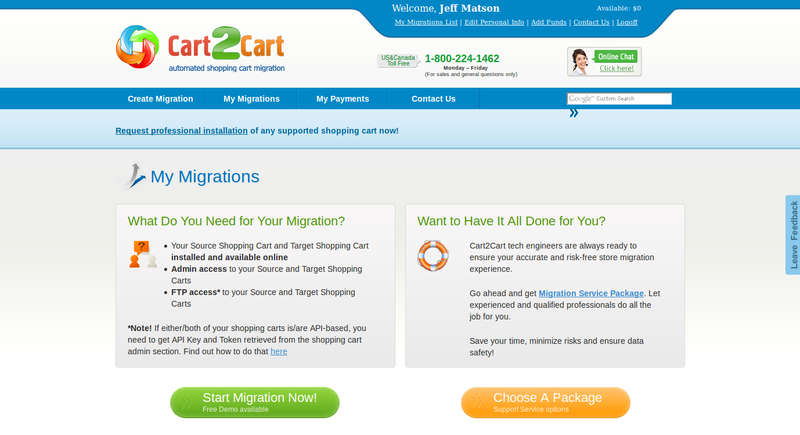 Choose whether you want to start a demo migration or buying a full migration on this step. If you are interested in seeing how a service works and buy the full migration at a later day, click on the Start Demo Migration button. In case you are interested in proceeding and buying full migration, select the Skip Demo Migration box. After completing the demo migration or opted to continue to proceed with the full migration of the Magento to WooCommerce, you will be direct to buy migration insurance. 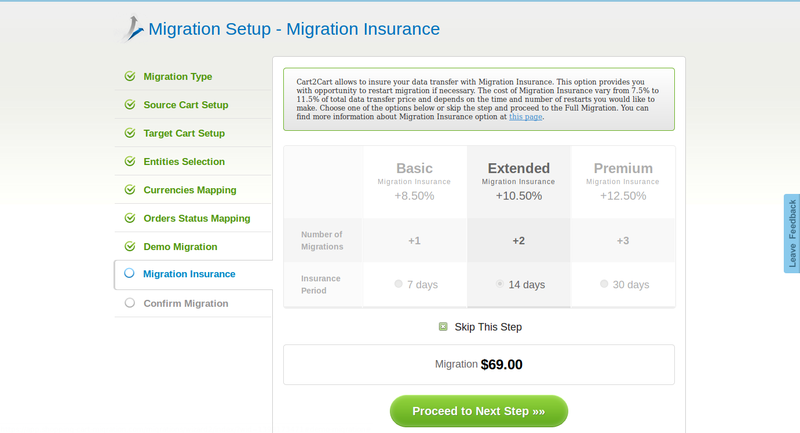 Buying the migration insurance will enable migrate from Magento to WooCommerce in future in case there is a need. However, in case you need to skip this step, select the Skip This Step checkbox and click on the Proceed to Next Step. 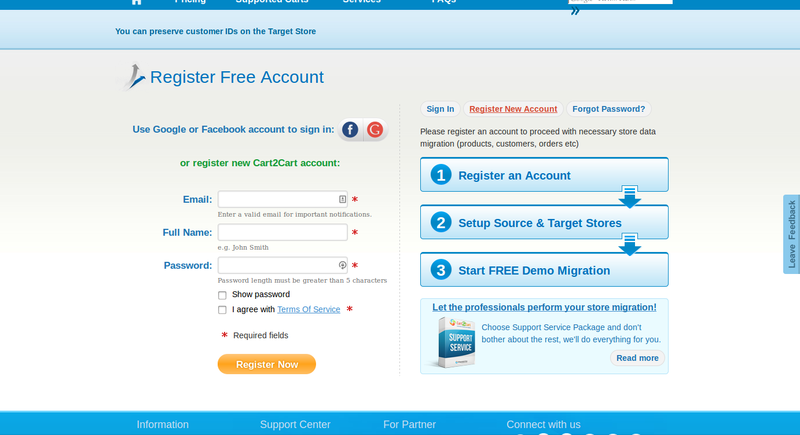 Here, confirm the purchase of your full migration on this step. The price might vary depending on the amount of data you want to migrate and the options you have selected. Here, you will be able to monitor your migration progress. Ensure you wait for the migration to complete before making any changes. One main reason why you should consider converting your Magento site to WordPress is because it is much easier and easy to learn and use by applying the little technical experience you might have. WooCommerce is known to have the same user-friendly as the WordPress hence; you will always be able to manage the store using the little help from a developer. Sarah is working as a professionally Expert WordPress developer at WordSuccor Ltd., a renowned firm providing WordPress migration services at very reasonable cost with a global reach. She loves to share her thoughts on WordPress and always looking for learning something new about it. The process of migrating from Magento to WordPress woocommerce site can be difficult at times especially if done manually. There are tools that will enable you to convert your Magento website into a WordPress site.With the steps you listed above migrating the Magento website to wordpress becomes easy. Converting from Magento to WordPress site is not easy at the time of doing manually. Because the most complicated types of migration are that of sites which contain a lot of data, for example eCommerce sites. There are a huge number of processes involved in the migration of a WordPress website to a Magento platform.